If the seasons had an opening of ending song picked door you, what would u pick? If u only have one of two that's okay. Just give me an idea what Yugioh would be if u picked the opening/ending. I would have Hatsune Miku Vocaloid sing the muziek for Yu-Gi-Oh. It has been known that Hatsune Miku even though she is a Vocaloid. She did appear in some Anime. And she did she openings and ending songs for some Anime. So i can see this happening for Yu-Gi-Oh series as well. Click on the link. ----> https://youtu.be/5-Du7Zkhe-0 If the link don't work. 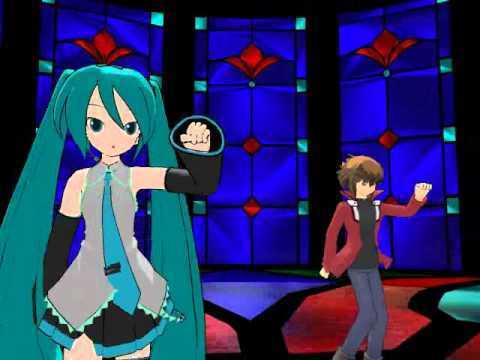 YouTube zoek Hatsune Miku Yugioh.